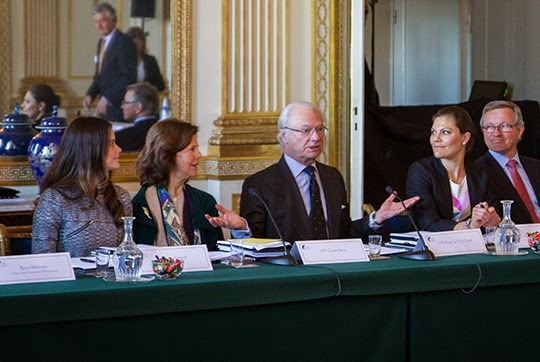 Today the King, Queen, Crown Princess Victoria, and Sofia Hellqvist held a meeting for the Global Child Forum. While I was hoping that there would be more photos, I highly doubt it. When there is meetings held at the palace, the Royal Court is often the only one who takes photos. So we only get what they put on their website. Anyway- on to the Royal Fashion. There is not much I can see so the only thing I can identify is Victoria's dress from Preen.